Introducing Pine Pollen Powder in an 8 ounce container! Retailing at $79.97, we are offering a highly competitive ounce per ounce price on a superior product. (NaturalNews) Raw pine pollen is the richest seedbed of testosterone derived from plants; since it is the male sperm of pine trees, it fosters plush growth in all living creatures, from trees and plants, to animals, to humans. 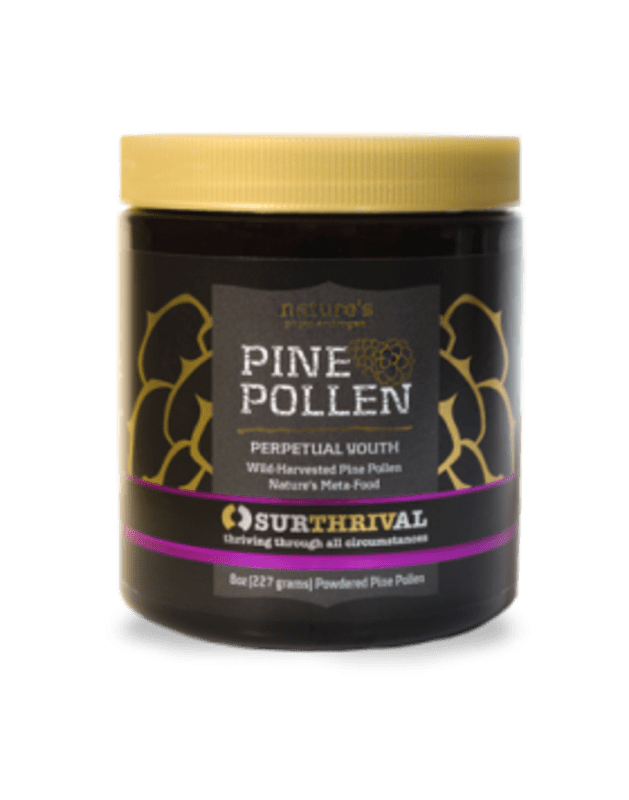 Some experts claim that pine pollen is an ingredient in certain pharmaceuticals designed to treat low testosterone levels in both men and women. Low testosterone in either gender may cause an increase in bad cholesterol levels, premature aging, tissue and bone loss, highs and lows in blood sugar levels, decreased levels of aerobic energy, weight gain, and sexual dysfunction. In men, low testosterone may increase their chances for developing prostate cancer due to the simultaneous increase in estradiol in the body. 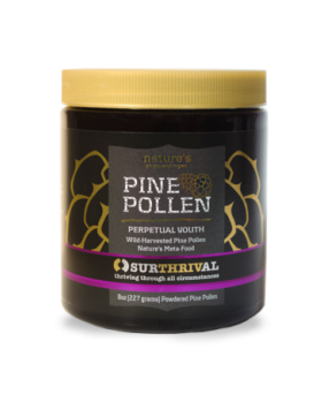 Outside of a stronger sexual libido due to more testosterone in men, pine pollen advocates tout skin rejuvenation, improved immune systems and other anti-aging benefits of continued supplementation. Some elements within pine pollen even work to detoxify cells by breaking down toxins in the body. Many consumers wonder about endocrine shutdown with pine pollen. Endocrine shutdown occurs when the glands atrophy due to the fact that they are not being used. If the gland detects enough of a certain hormone, it will cease production, and eventually atrophy or shrink. This can happen with overuse of steroids or man-made hormones because these are molecularly identical to those that the body produces. Pine pollen's molecular structure, i.e. the androgens, is not identical to that of the body; however, it is similar enough to produce beneficial health effects, without the risk of gland cessation of production.